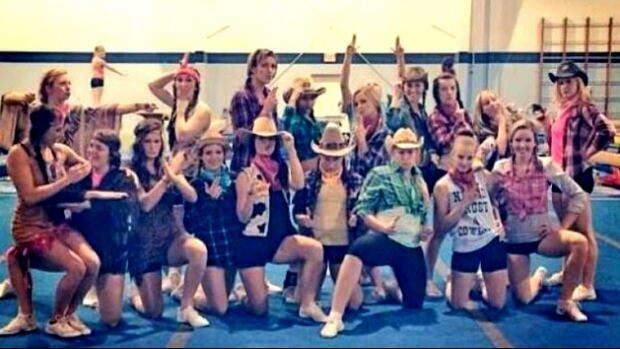 University of Regina president issues apology, says participants will take sensitivity trainingThe University of Regina is responding after a photo depicting some members of the school's cheerleading team posing in stereotypical "cowboys and Indians" costumes sparked outrage over the web. By Heather Polischuk and Jason WarickAlthough the photo was taken down, the damage was done as far as some are concerned. Riemer said the university is taking both the incident and the reaction seriously. "To be frank, the university has a couple of goals," he said. "One is specific to people of First Nations ancestry and that is that the university as an institution would become a very welcoming place, and certainly appreciate that part of our society--particularly since Regina sits in Treaty 4 land." 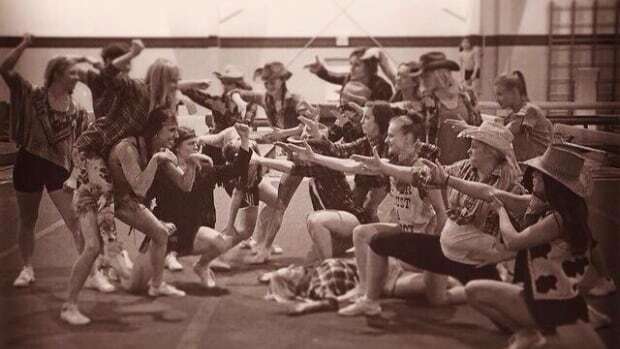 By Holly Ann McKenzieThese actions by the University of Regina cheer team are not isolated, they are informed by and reinforce stereotypes circulating in white settler communities in Saskatchewan, including Regina. They are an indication of how entrenched these stereotypes and narratives remain. They also serve as an example of why ‘intention’ is not all that matters. I believe that the cheer team did not intend to disrespect anyone. As stereotypes of indigenous people and a frontier narrative of white-settler ‘progress’ are part of our liberal ideology, it is possible to both have good intentions and act in racist ways within Canada and Saskatchewan. However, ‘good intentions’ do not undo the effects of our actions nor should they excuse them. Rather, our responsibility as a (white-settler) community needs to shift from simple blind ‘good intentions’ (which justifies a continued ignorance of the effects of our practices) to critical reflection on our practices before we engage in them and reparations when we cause harm (whether unintentional or intentional).For more on the subject, see "Cowboys and Indians" Beauty Showdown and "Cowboys and Indians" in Toronto Bar. Below: A similar photo the cheerleaders posted earlier. "Kill the savage Indians!"